The collection begins in the late 70s with the Mighty Travellers’ underground anthem “South Africa” and carries the energy through 36 tracks across two CDs (12 of which are featured on a limited edition vinyl LP). 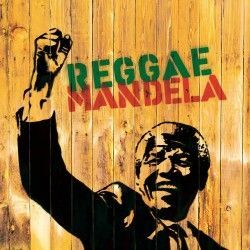 Highlights include Half Pint’s “Freedom Fighters,” recorded for Channel One, and a young Yami Bolo in exceptional form on “Free Mandela,” under the supervision of keyboard king Jackie Mittoo. Follow VP Records on Instagram (@vprecords, @greensleevesrecords, @17northparade) and all major social media and streaming platforms. Please include this release in your sets, playlists, and streaming playlists. After the public release date, you may request the full 36-track set with a message to carter.vanpelt@vprecords.com.